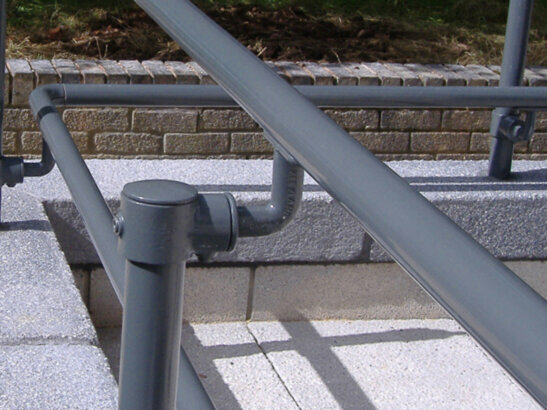 The widespread popularity of industrial shelves is due in part to the structural durability of each piece's form. The mesmerizing juxtaposition of hard steel and soft wood also play a role in alluring people of all different tastes to choose this option over all others. 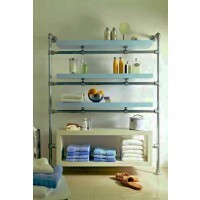 The modern industrial shelving trend is generally accompanied by a high price tag. However, many people who undertake DIY industrial shelving projects are surprised by the material availability and ease of assembly. 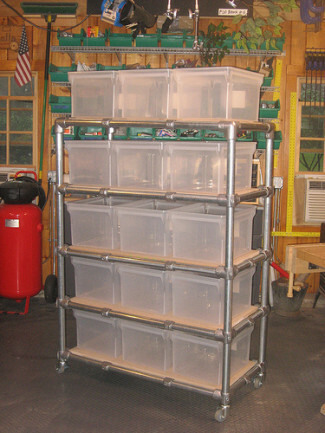 The key to success in your own DIY industrial shelving project is to select a style that complements your existing or planned design scheme, your budget, and your current carpentry and assembly skills. 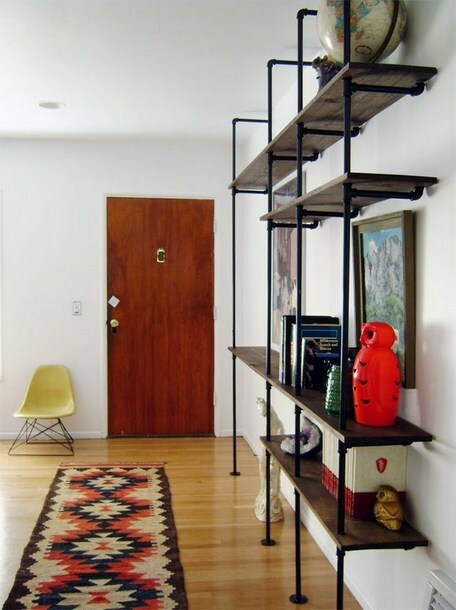 These 10 DIY industrial shelving projects run the gamut of simple, moderate, and elaborate design samples. 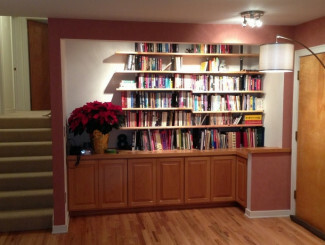 This S-design, wall-mounted bookshelf is affixed to the wall in only six places, and does not need ceiling or ground support to remain secure against the wall. 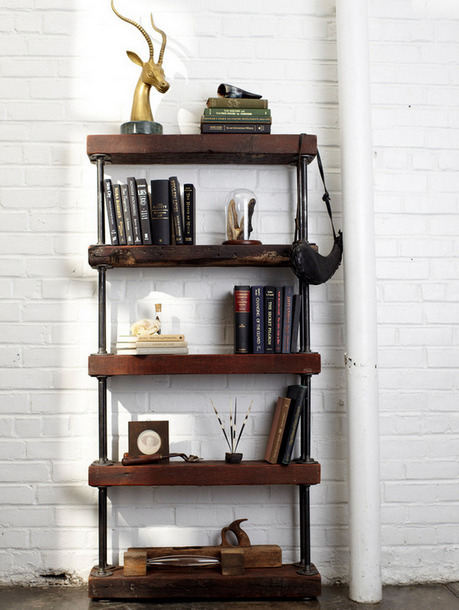 Notice how the industrial pipe accentuates the dark wood and books without overpowering the beauty of the wood finish, or individual books and knick knacks. 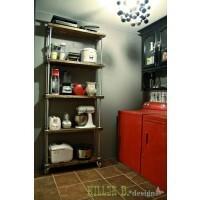 This rustic industrial shelving unit from SilvieLiv.Blogspot.com cost about $200 to construct. The beauty of this piece lies within its ability to fit into any existing home décor style with just a touch of stain or paint on the shelves. 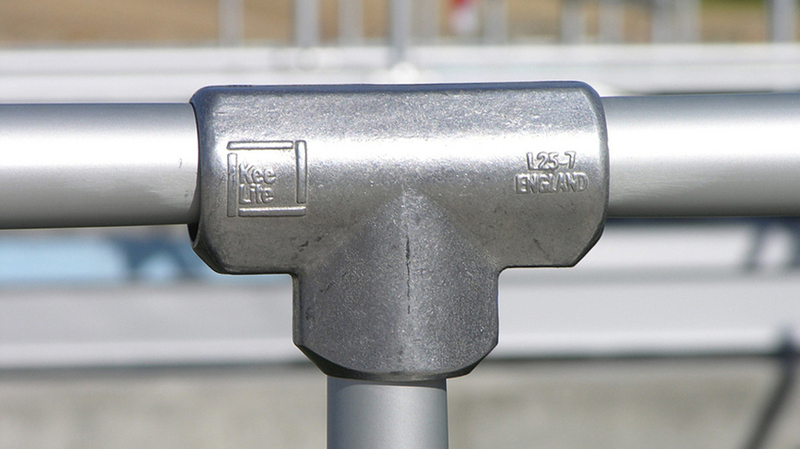 You can also soften the metal pipe with light paint to totally transform the feel of the piece, and make it more suitable to function well in a small space. 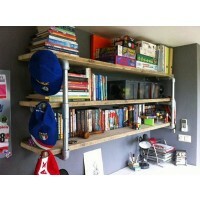 This amazing zero point shelf does not pierce the wall, ceiling or floor! 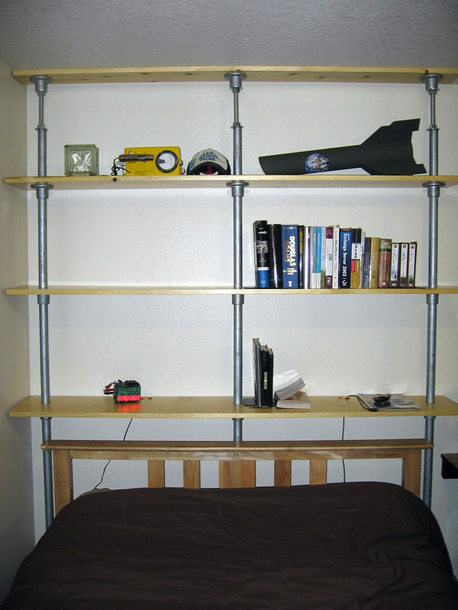 The designer, Adam, from AwaitingInspiration.com cleverly used pipe, fittings and tension to create this floating shelf, adjustable shelving unit perfect for dorm rooms, rental apartments, and growing children with evolving tastes and storage needs. Duncan Wilkinson's DIY Entertainment Center With Bookshelves free standing unit was made possible by the use of Kee Klamps that effortlessly connect each piece of shelving to one another. Therefore, the whole thing can be moved without ever compromising the structural integrity of the shelf. Alaska homemaker and blogger Ana White did not let her pocketbook stop her from obtaining her dream industrial kitchen cart. 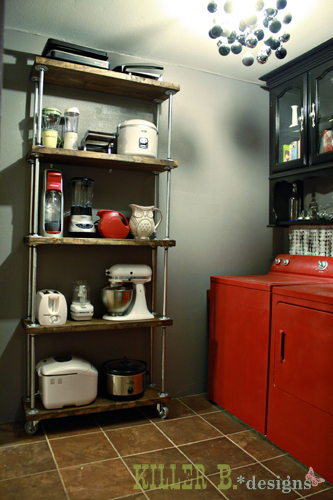 The dark wood stain against the galvanized pipe perfectly fits into her hard-and-soft kitchen theme. 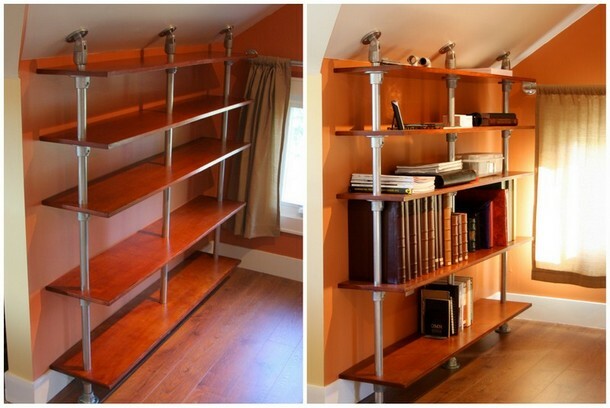 This pole-mounted floating bookshelf allows the homeowner to better utilize the small wall in front of the window. 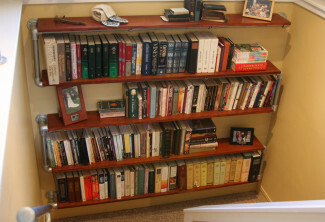 The medium-colored wood, ample space between shelves, shiny galvanized pipe, and smart placement of books and knick knacks still allow the space to be airy, yet highly functional. The clearly defined lines of this industrial shelving unit from the Brick House allow the room to maintain its minimalistic look and feel. The builder's ingenious idea to leave openings large enough for paintings give him the option to completely transform the style of the unit on a whim using inexpensive wall coverings and/ or decorative items. 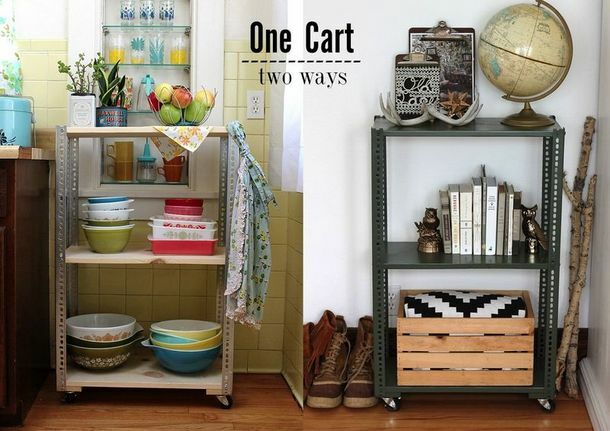 These two carts created by Elsie and Emma of A Beautiful Mess allow them to easily add shelving as needed. Because the carts are on rollers, they can also be moved to different rooms to function as temporary or permanent storage units. 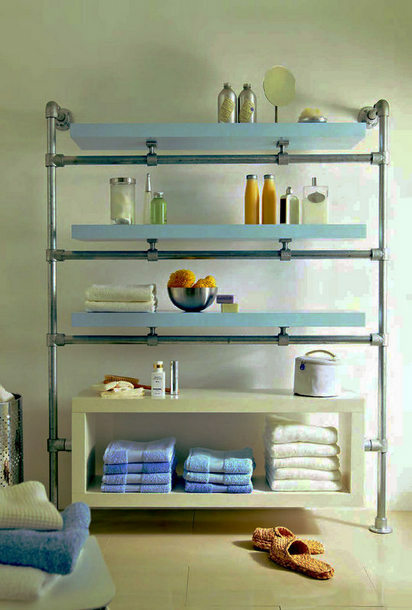 Originally featured in the German DIY Magazine Selber Machan, this industrial floating bathroom shelf offers ample storage space for towels, toiletries and decorative accent pieces. 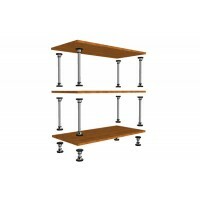 The piece would also work well for bedroom, living room, large closet, nursery or covered garage storage. 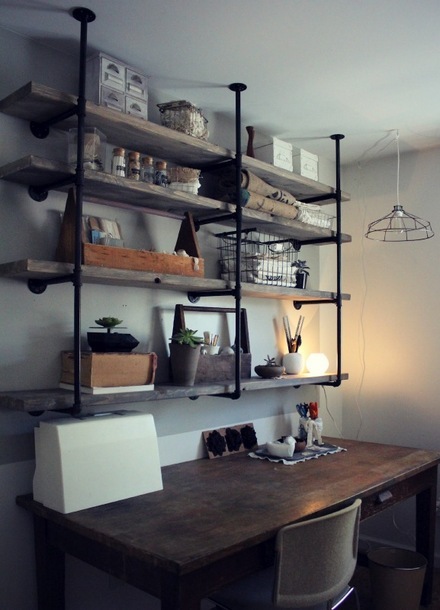 Dan Faires of HGTV came up with this stunning DIY industrial shelving unit using reclaimed wood and black pipe. 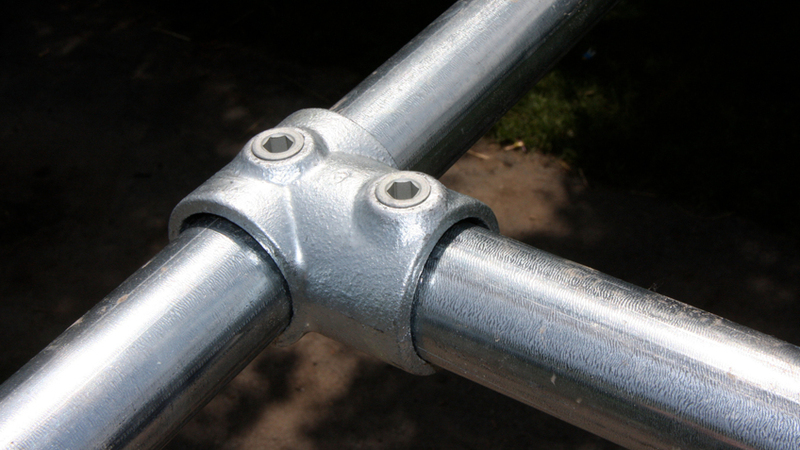 You could easily achieve an airier look by using light wood and galvanized steel pipe. 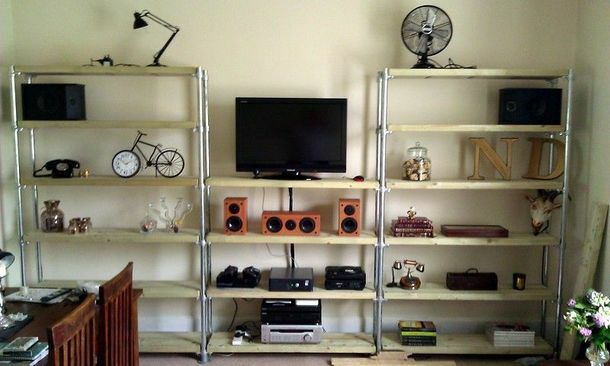 Whatever your style, or your budget, we hope that these projects have been helpful in inspiring you to build your own industrial shelf.